One of the best ways to get to know people is by listening… to their data. Keep your marketing, services, and goods on trend and interesting by learning more about what the people want. Understanding your current and potential customers is critical to the success of your company. Whether you have detailed data about specific customers or broader data about their patterns and behaviours, you can use this to your advantage to help give them what they want. Data is everywhere! And it’s not just in your point of sale or scheduling system anymore. Data is all over the internet. With custom transformers that connect directly to API’s, you can easily pull in data from social media platforms like Instagram or even review forums like Yelp! Whether your company is involved in retail, restaurants, insurance, or real estate, data can help your company understand your market better. Data is the fuel for understanding when and how to make changes and will help you identify bottlenecks, time email campaigns, and understand the behaviour of your customers. How do you determine where to set up your next restaurant or shop? Location intelligence. Use spatial data integrated with local census information and other variables to make sense of where your business will prosper. Take it from McDonald’s - one of the largest restaurant chains in the world! 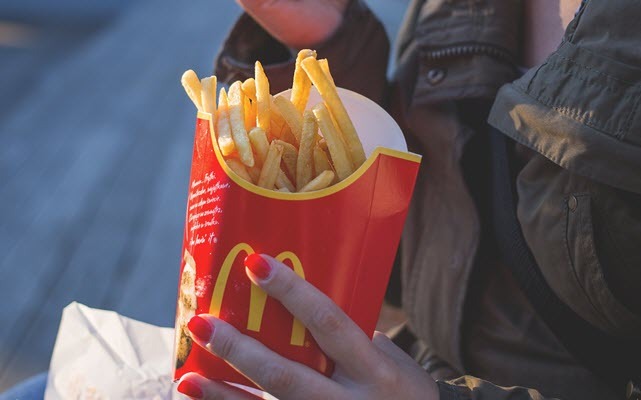 As one of the largest restaurant brands in the world, McDonald’s China constantly has important business decisions to make. They know that their data can provide insight into their growth as a company, so they chose to use FME to help integrate their data. FME helped their team further understand their customers, their profit, and helped them choose the best locations for new restaurants. Using FME helped McDonald’s China save time and money all while increasing their knowledge of their business. Bonava is one of the leading residential development companies in Northern Europe with employees working out of various countries. To help simplify file sharing, Bonava worked together with Sweco to bring their files into the A360 cloud system. Using FME Desktop they were able to automatically rename, reorder, and upload files directly to A360. What was once a tedious, manual task was done so much more efficiently thanks to FME! Food trucks have become extremely popular in business districts, but it can be difficult for the customer to know exactly when a food truck will be near them. To help their employees get fresh food right when the food trucks arrive, con terra worked with their local food truck company to implement a notification service using FME Server. This wasn’t any ordinary notification. It also included the daily menu and other specials so that it was easy for customers to see their options. "FME is our main software for business and spatial data translation and transformation. It greatly improved the efficiency of GIS service and online reporting service." "Tableau makes data beautiful, FME gets data to the point where it can be made beautiful. FME is the secret sauce." "FME Cloud may not run all year long if there are no earthquakes, or if there are a lot it could run often, and then not again for several months. But it’s always available, checking the feed."